Ever since it was first created in 1955, the Ingenieur watch has combined sport appeal with exquisite detailing and Swiss craftsmanship – something it upholds to this day. The latest addition to the renowned collection by IWC is suitably suave yet rugged. 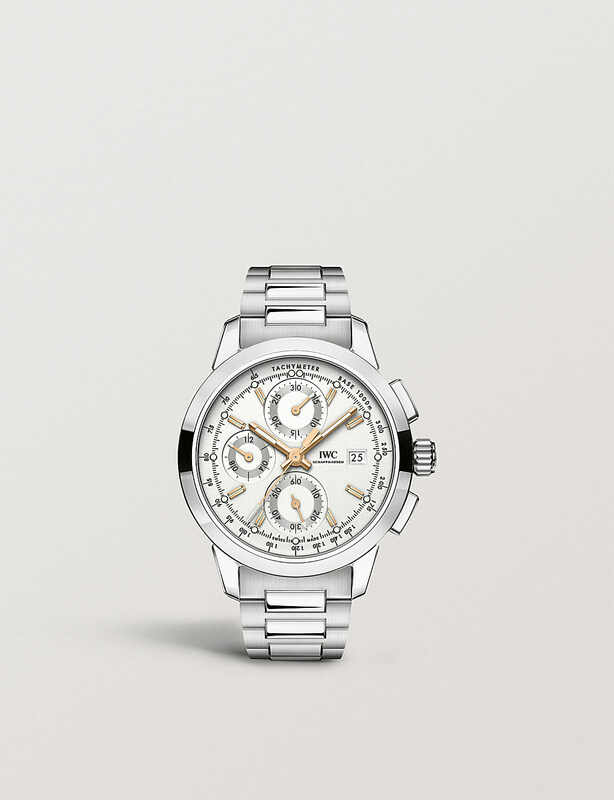 Crafted from stainless steel and punctuated with a chronograph dial, it features three sub dials and is encased in scratch-resistant sapphire crystal – full of charm and functionality. 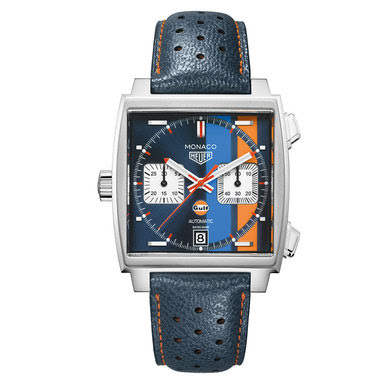 An exciting new edition to the Monaco family, this TAG Heuer Monaco Gulf special edition automatic men's watch celebrates the 50th Anniversary of the Gulf Racing Stripes. The Monaco was made famous instantly when Steve McQueen wore it in Le Mans in 1971. In the film, McQueen wore blue, white and orange Gulf stripes on his white racing suit, which is where the inspiration for this striking Monaco came from. Presented on a blue calf skin strap with orange lining, this exciting watch features a 39mm steel alternate finishing case with a fixed bezel. Beneath the scratch-resistant sapphire crystal sits the blue sunray brushed dial that's enhanced by the Gulf stripes, a blue flange with a minute scale, rhodium plated polished, facetted and applied hour markers with white superluminova, red, rhodium plated and facetted hour and minute hands with white Superluminova and a red lacquered hand, finished with a date window at 6 o'clock and two chronograph sub dials. 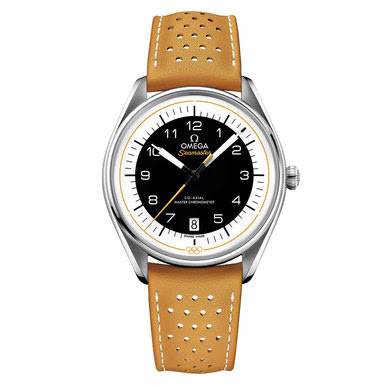 Taking inspiration from the rings of the Olympic Games, this Omega Seamaster Olympic Official Timekeeper automatic men's watch is also a celebration of Omega's timekeeping stopwatches from the past. With only 2,032 versions of this model created, this limited edition watch is presented on a yellow, micro-perforated leather strap and features a 39.5mm stainless steel case with a refined bezel. Domed and scratch-resistant sapphire crystal with anti-reflective treatment on both sides protects the domed black and white dial that's finished with sporty hands, a date window at 6 o'clock, an easy to read minute track and a yellow pulse reader that lets you calculate your pulse beats-per-minute. Water resistant to 50m, this Omega watch is powered by the Master Chronometer calibre 8800. 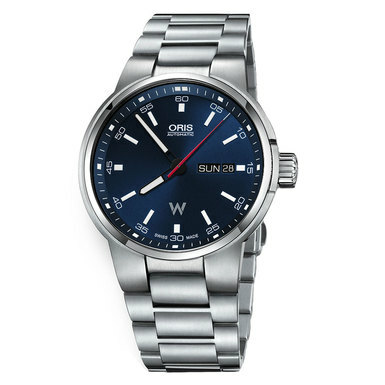 The ultimate sports watch, this Oris Williams Day Date automatic men's watch celebrates the brand's partnership with the William F1 team - one of the most iconic names in Formula 1. This sporty watch is presented on a stainless steel bracelet and features a 42mm stainless steel case with a polished bezel. Flat and scratch-resistant sapphire crystal protects the blue dial that's enhanced by Superluminova-filled hour markers and hands and a day and date window at 3 o'clock. Water resistant to 100m, this Oris watch is powered by an automatic winding day date movement with the bi-directionally rotating red rotor and 28 hour power reserve. It's about time. 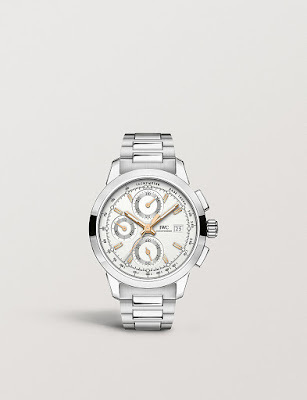 This men's 43mm chronograph watch is the perfect everyday timepiece. 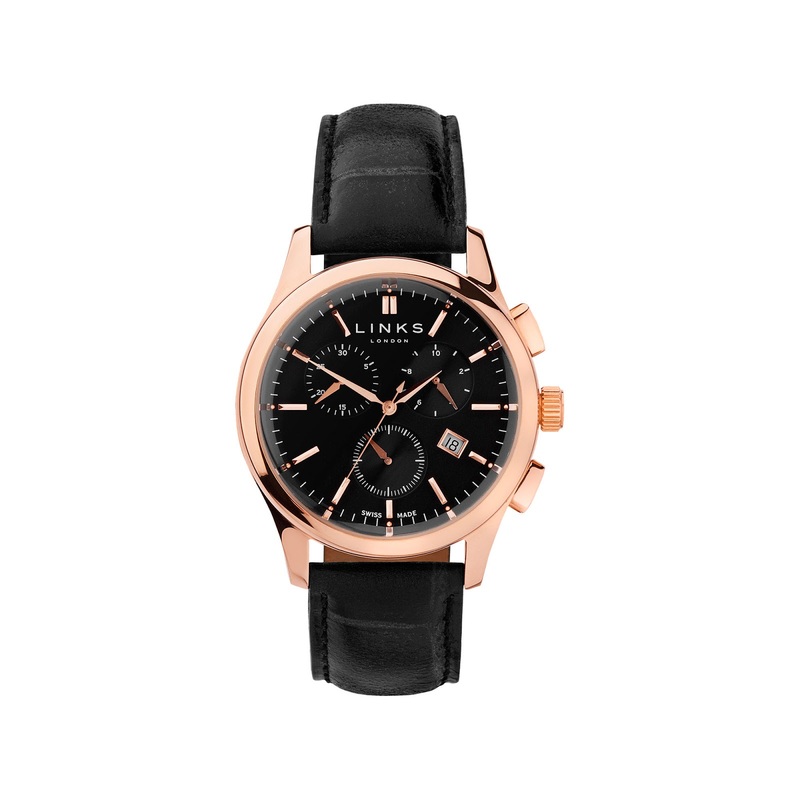 From the Regent collection, boasting a sophisticated black leather strap to complement its lavish rose gold case and index detailing, it's designed to be worn from desk to dinner. 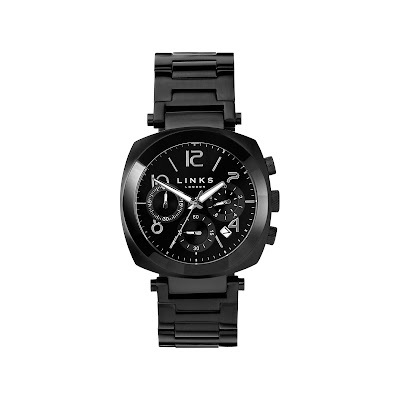 Highly versatile and incredibly elegant, this watch also features a dual time and date function. Rated to 5 ATM makes it suitable for everyday use and any accidental splashes! Swiss watchmaker Movado’s new Bold collection offers aspects of their classic Museum design, reworked into a good-sized contemporary watch. The dial is now filled with indices, second hand, second markers and a date window – all useful for sports and activities – or just that perennial modern-day busyness. The khaki-toned stainless steel bracelet keeps the look sleek enough for evening wear, too. This men's black chronograph watch from the Brompton collection is the one to invest in. 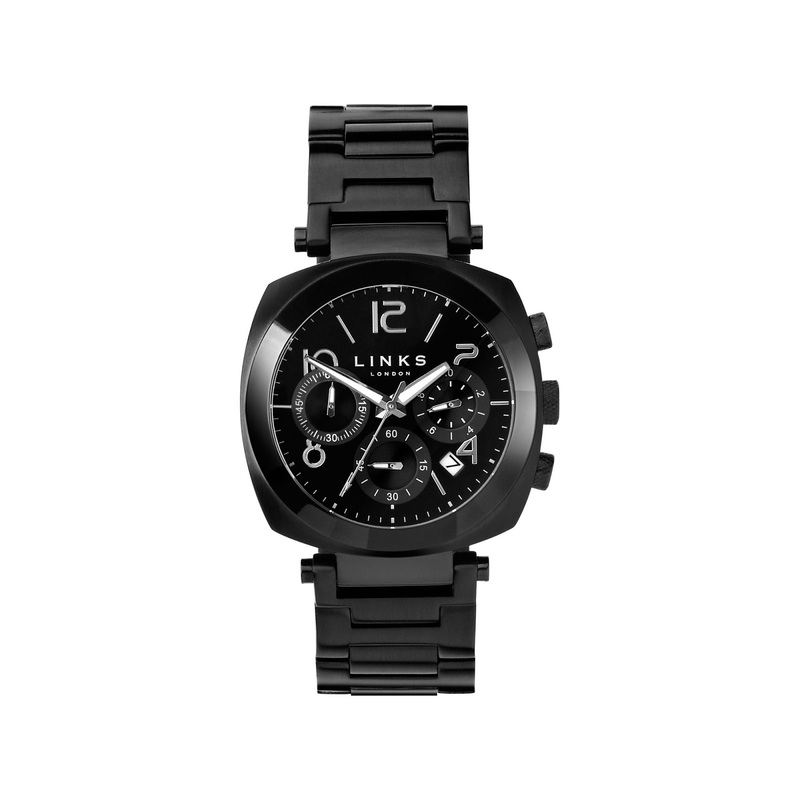 Featuring an impressive 44mm case with a black dial, you'll be sure to stand out from the crowd A The 1970's inspired Arabic numerals and a classic black bracelet strap accentuate it's modern masculine design. Perfect as a special treat for yourself or the ideal gift for a loved one. The watch for every occasion, every time, this Tissot T Sport Everytime Swissmatic men's watch offers cool minimalism and modern style. Since their inception in 1853, Tissot have been pioneering craftsmanship whilst staying committed to respecting tradition. This stylish watch is presented on a polished stainless steel bracelet and features a 40mm stainless steel case with a polished bezel. Domed and scratch-resistant sapphire crystal protects the white dial that's enhanced by elegant Arabic numeral hour markers, black hands and a date window at 3 o'clock. 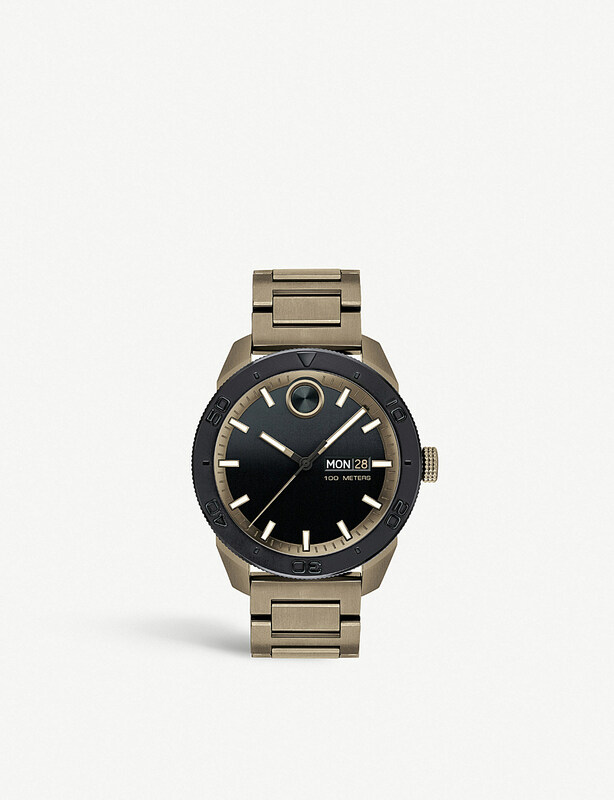 Water resistant to 30m, this watch is powered by a Swiss Tissot automatic movement. 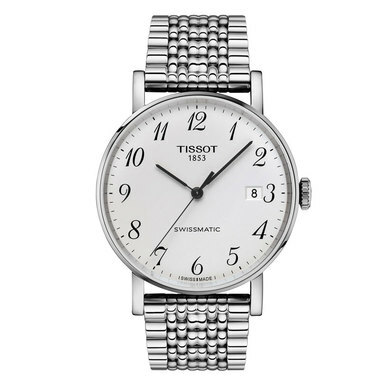 Both classic and contemporary, this Tissot watch will never run out of style.